Surrealistic video-projections on the landscape. The Woot!Woot!Woolf festival took place in the woods by Rhijnauwen. 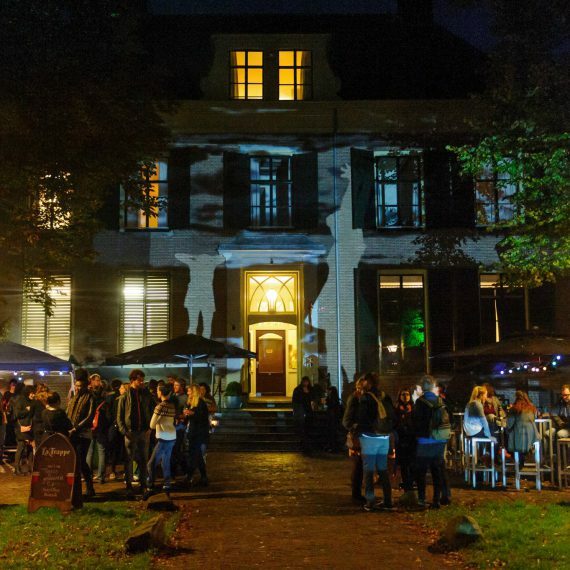 A beautiful, intimate music-festival held at one of the most stunning locations surrounding Utrecht. 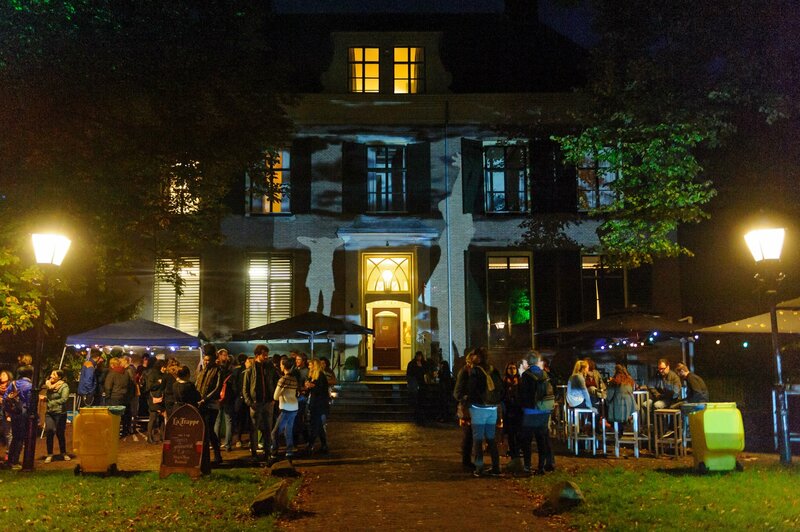 Beeldjutters provided the in and exterior audiovisual furnishing for a number of editions of the festival. 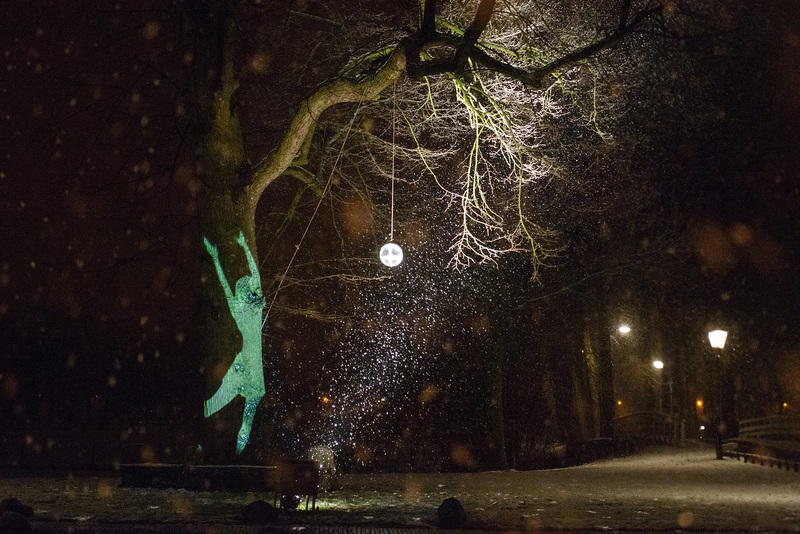 When it started to snow a dream came true: light-projections in a white landscape! We projected onto a thick layer of snow around the gras, trees and the facade of the Stayokay Hotel. 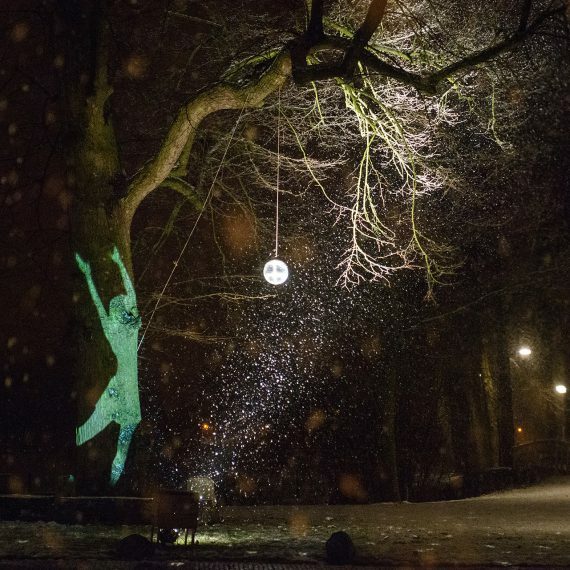 Beeldjutters can turn any landscape into magic with our video-projections. Please don’t hesitate to contact us to discuss the possibilities.